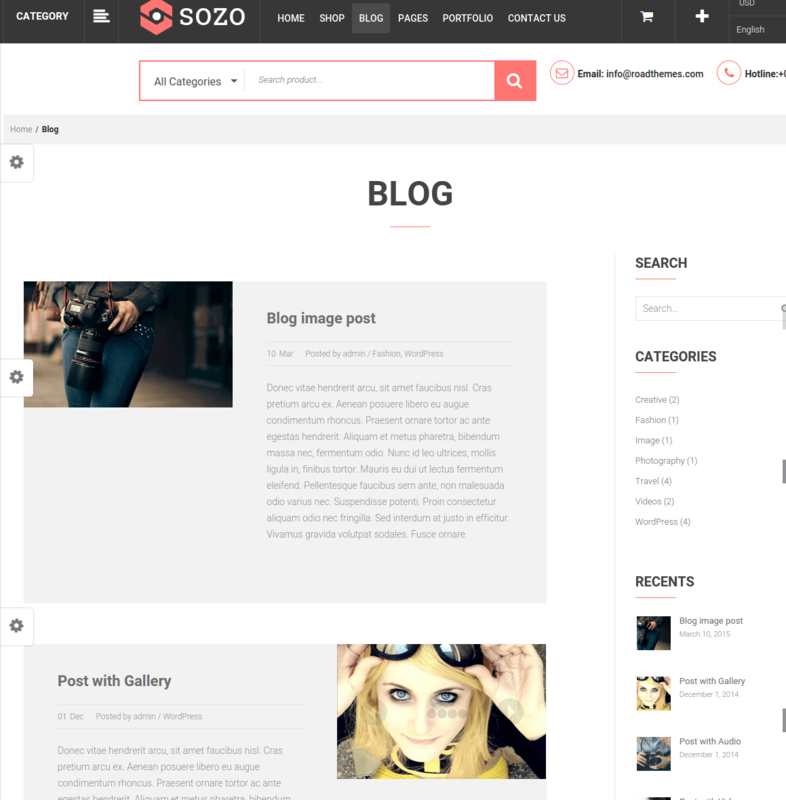 SOZO – Full Screen Mega Shop WordPress theme. 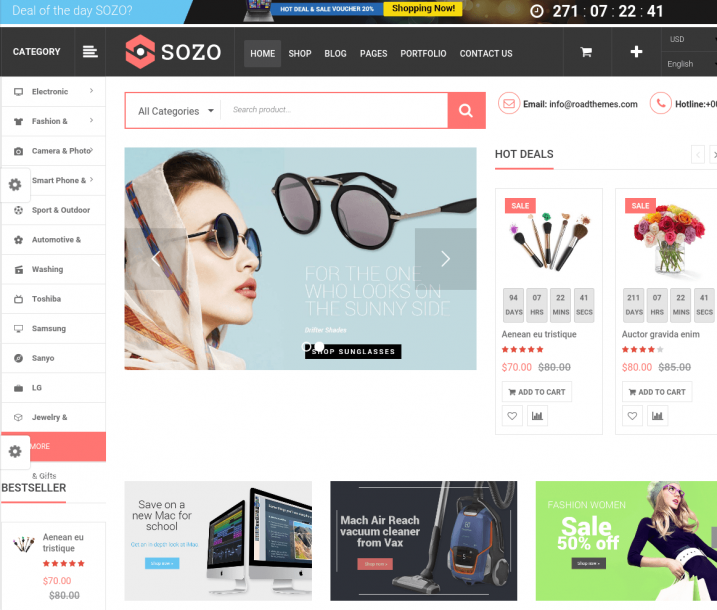 This theme has a fully responsive layout with full screen layout support and has a two homepage layout and many other features which is important for E-Commerce website. 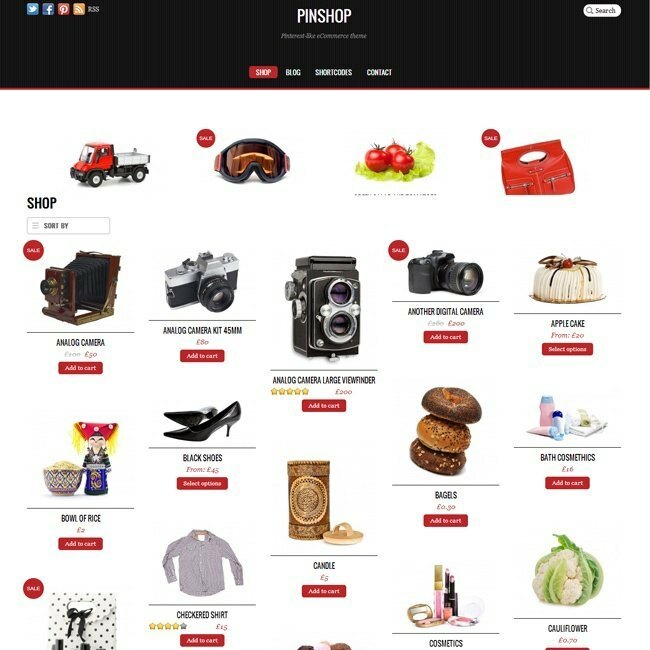 This theme is supported to big shop which contains many types of product, categories and supermarket items and has a menu option in the sidebar for choosing the category of product like: Electronic, Photos, Sport, Fashion with specific and individual company product category is also there. In this theme you have multiple option to buy product to filter out the best product from multiple items you can compare with other items. 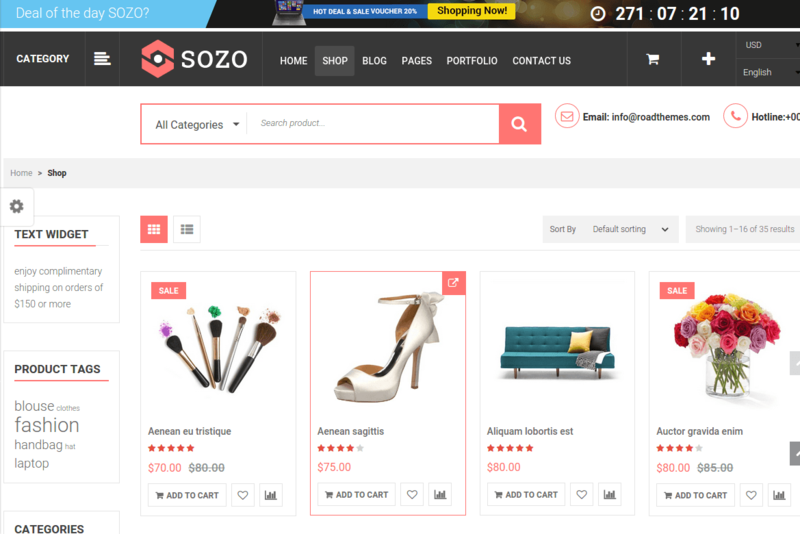 It also provides you with multiple features like : Wishlist item, carousel slider of product, product tabs & carousel, product image zoom, product quick view, add to cart, brand logos. 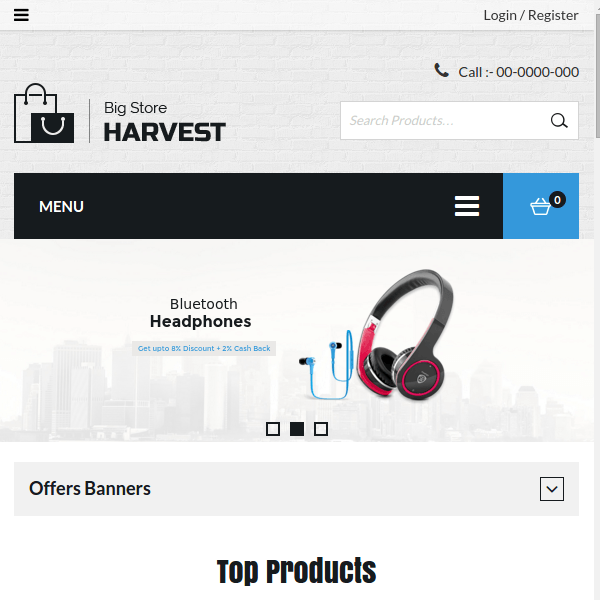 You can give the daily discount and offers banner on the header menu item and show dynamic time changer deadline of the offer on the product. 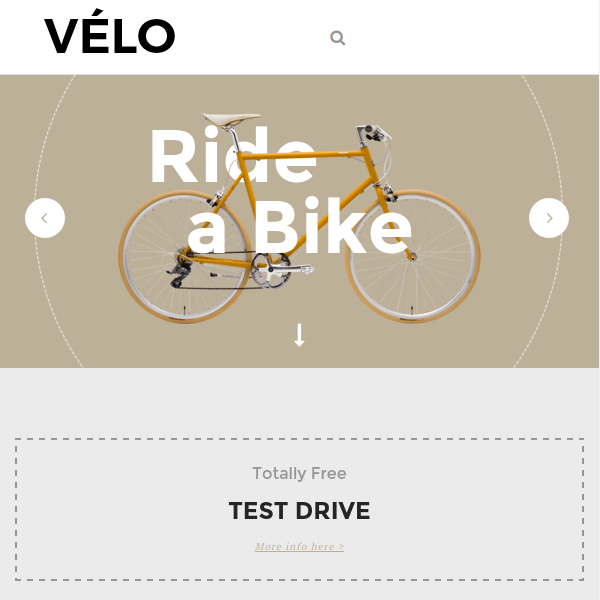 It also contains revolution slider for showing your products Ads in the slider with offers and it’s also compatible with visual builder and the page builder plugin. In the sidebar category pages you can show your product by category and sub-category of the products. 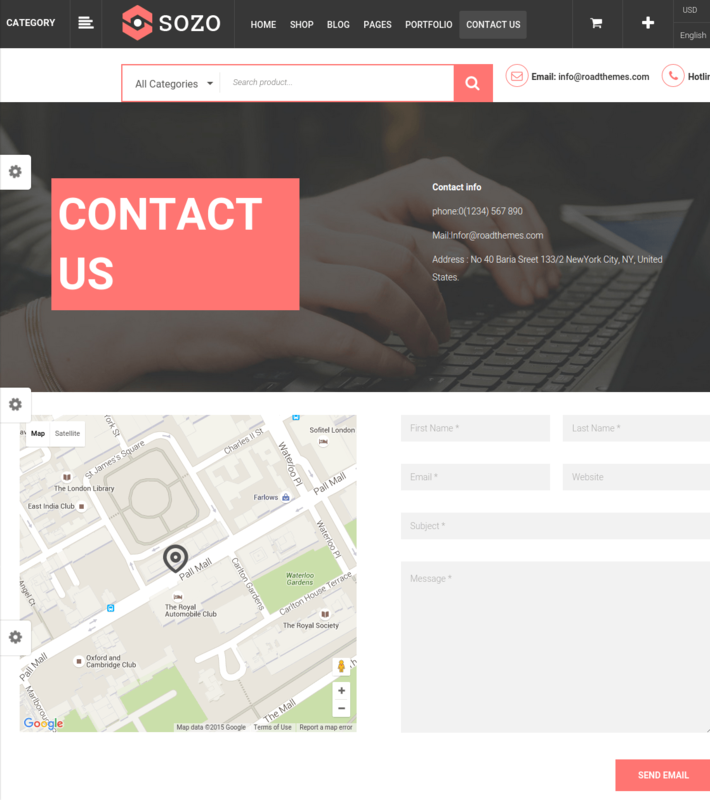 eCommerce Theme with Fullscreen Layout displays each and every section very beautifully, have a look to this eye catching theme. 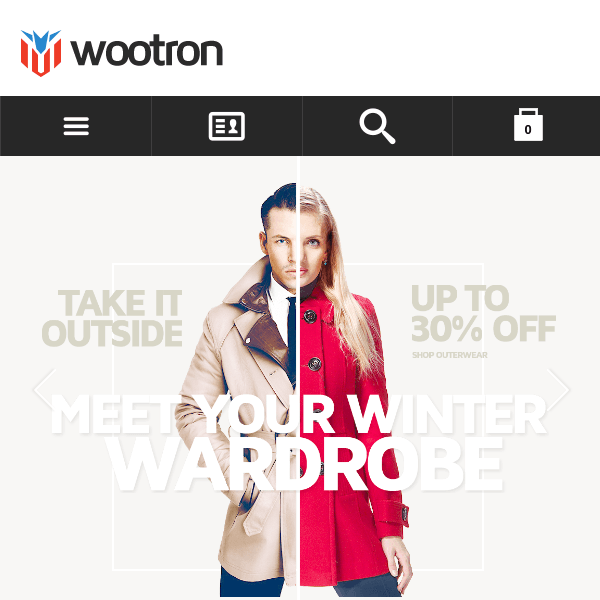 Flexible, Powerful WordPress theme for Ecommerce websites. 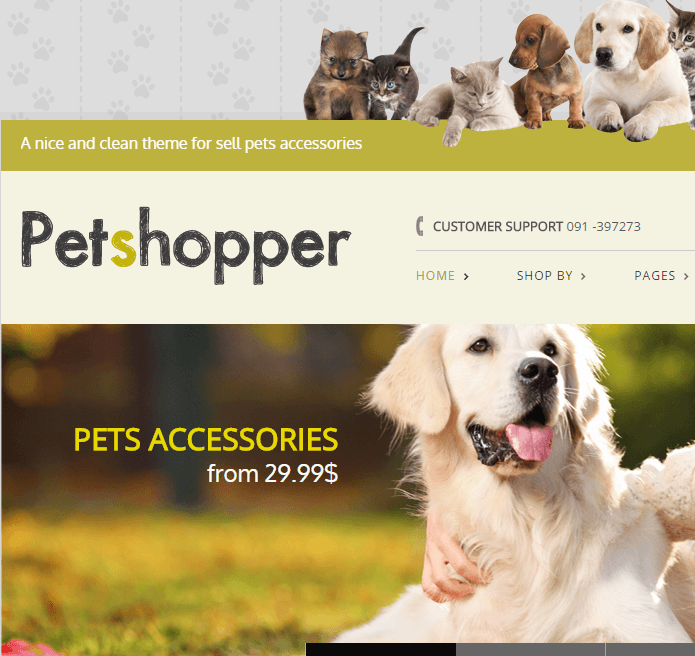 An Excellent theme for eCommerce websites.